Today, I’m going to go through exactly how I make money blogging. I’m going to talk you through the income streams that I use to monetize my blogs and build an income for my family. This is something that I have done on the blog, but today I’m going to give you the information on the podcast because some of you don’t read the blog. Today’s podcast is based off of this article on ProBlogger, “My Blogging Income Breakdown for the First Half of 2016”. This report is for my total business including ProBlogger and Digital Photography School. I will give you a little insight as to what site each income stream I mention is generated from. I will also be talking about profit as opposed to revenue. I will also be talking in percentages because I don’t generally reveal my actual income. Affiliate Income – There aren’t a lot of direct expenses from affiliate income, so it is profitable. On dPS we do two big promotions every year. We have our 12 days of Christmas sale and our mid year/summer sale. In each of these, we have daily deals on photography products. On ProBlogger we have been focusing on affiliate income from some of the tools we use. Plus links to hosting and themes. On dPS we regularly link to Amazon. Products – These are eBooks, lightroom presets, courses, and printables. In 2009, I decided to invest time into creating my first products which were eBooks. AdSense – dPA has a large amount of traffic, so it pays to use AdSense along with other income streams. On dPS we offer sponsorships to advertisers who want to work directly with our audience. On ProBlogger we have done a handful of sponsorship campaigns with companies like Meet Edgar and 99designs. On ProBlogger we have had the job board since 2006. At first, it was a trickle, but it has now grown to 6000 ads places. We plan on releasing an update to the job board in the coming weeks. Take a look at the How to Make Money Blogging page on ProBlogger for a good overview. This year will be out 7th ProBlogger Event held here in Australia. The event generates a large amount of revenue, but the expenses are huge, so the profit is about 3% of my blogging income. This year there is a virtual ticket available for those people who can’t make it to Australia. This should offer a revenue increase. Other – I have a couple of other small income streams. Other Royalties/Copyright payments such as when my content is used in schools in Australia. All team members except for one are part-time. We also have a huge array of contractors who help with product creation, proof reading, podcast editing, etc. We also have to have dependable servers and a number of software subscriptions to keep everything running smoothly. You can find these on our resources page. To make money you have to spend it! This is ProBlogger. Hi there, it’s Darren from ProBlogger. Welcome to Episode 150 of the ProBlogger podcast. Today, I want to go through exactly how I make money blogging. I want to talk you through the income streams that I use to monetize my blogs and to build an income for my family off the back of my blogs. This is something I have done from time to time over on the ProBlogger blog. Today, I want to give to you on the podcast. I know some of you don’t read the blog and prefer to listen. That’s what we’re doing today. Back in 2002 when I first started blogging, and then over the next couple years started to make money for my blogs, the first question I would almost always be asked when I say to someone I’m a blogger. The question was almost always, “What’s a blog?” It would usually come with sort of a glazed overlook. Sometimes I’d say, “What’s a blog ball?” There was just almost no comprehension back in 2002 what a blog was, at least here in Australia. Almost everyone asked it. I would have this little spiel about what a blog was for anyone who genuinely seemed interested in finding out what it was, which wasn’t everyone, I have to say. Over the last few years, when I say I’m a blogger and that’s how I make my money, most people now know what a blog is but the question I get asked more than any other is, “How do you make money from a blog?” Sometimes people know what a blog is and they may even have a vague idea of how you make money. The most common thing that people guess at is something like, “You make money like a newspaper from ads?” It’s rare that people know too much more than that unless they are a blogger, or have some online experience, or know someone that doing it full time. Even today, I was in a café getting my long black in the morning which is my coffee of choice. The barista there asked me the question again, “How do you make money blogging?” His brother actually was a blogger who wanted to go full time. He thought his brother was on a road to nowhere. He was amazed when I mentioned that I was a blogger making a full time living from it. He was amazed that someone was actually doing it full time. He asked the question. As I was explaining to him how I make money from my blogs, I realized I haven’t really talked about it explicitly on the podcast. That’s what I want to do today. What I’m going to share with you today is based upon a recent income report I did do over on the ProBlogger blog. I summarized my income streams of the first half of 2016. As I record this, it’s September. It’s a couple of months ago that I published that. I will link to it in today’s show notes. I thought it would be useful to go through because it does represent the last couple of months as well. Before I get into the nitty gritty of it, let me say three things. Firstly, this is for my total business. It’s a combined profit for both ProBlogger and Digital Photography School that I’m talking about. I have two main blogs, my biggest one is Digital Photography School. It’s about eight times bigger than ProBlogger. The bulk of what I’m talking about today in terms of income is from Digital Photography School but I will be referring to ProBlogger from time to time as well. Think of it as the overall. For each income stream that I mention, I’m going to give you a little bit of insight into which of the sites I’m talking about. Hopefully you can get it straight in your head. The second thing I’ll say is that I’m talking here about profit rather than revenue. These things are very different. I see a lot of people doing their income reports based on revenue but it doesn’t really take into account the expenses. I don’t know that that’s overly helpful. What you’re going to hear me go through today, I’m going to give you a percentage of what each income stream makes in terms of profit. The reason I do this is there are elements in what I do that generate a lot of revenue but which also have significant expenses. The main one I’m thinking of here is the ProBlogger event which is happening in the next week. That bring in a lot of income. We have hundreds of bloggers paying $300 or $400 a pop, $400 or $500 a pop. That brings a lot of income. It mounts up very quickly but the reality is we have massive expenses as well. When you hire a hotel for two days for 500 people, the mind boggles at the bills you get. There’s a lot of revenue there but it’s not as much profit. You’ll see how little the profit is in a few minutes. The last thing I want to tell you is that I’m not going to tell you my actual income in this particular podcast. I don’t generally reveal specifics of how much. Rather, I’m going to talk in percentages here. I do this for a couple of reasons. One, I always found a little uncomfortable talking publicly about exactly what I earn. It’s probably just the way I was brought up. Also, sometimes I think when people share the figure, people don’t actually see the lesson behind that. 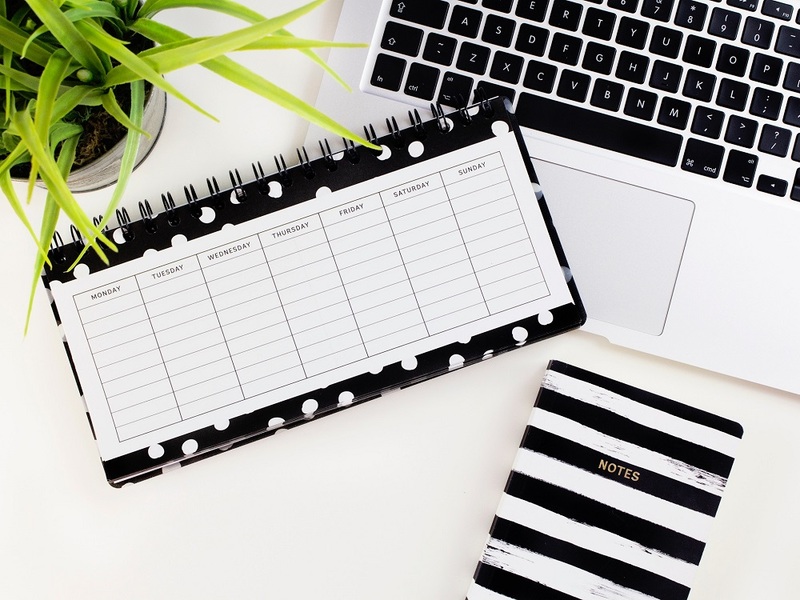 Sometimes for a small blogger just starting out, it can seem, I think almost detrimental when you’re comparing yourself to someone who’s earning a lot of money. It can perhaps not be helpful. Really, the point of this podcast is to show you the diversity of income streams and how they are mixed together to build up a full time income for me. I will say in terms of how much, back in 2006 I revealed that my profit was over a $100,000 a year. It’s only gone up from there. That’s about all I’ll say on that particular front. I will say when I did the blog post, someone tried to calculate it based upon some of the publicly available information as well. You can probably dig in and find out a little bit more, if you did choose to do so. Let’s get into breaking it down, if you’ve got it in front of you, you’ll be able to see that the number one income stream for me for the first half of 2016 in terms of profit was affiliate income, affiliate commissions. It makes up 46% of my overall profit for the first half of this year. When I calculated this out, I was actually a little bit surprise when this category came up as high as it did. I knew it would be number one or two but I’d been thinking in terms of just basic revenue. Number two category is product sales. Usually, the revenue that products sales brings in is pretty similar to affiliate but there’s a lot more expenses with product sales and that’s why affiliates is number one because any earnings you make, you keep. There’s not really too many direct expenses with affiliates. That’s one of the reasons I really like it. As you look at that 46%, I will say upfront, it comes from both Digital Photography School and ProBlogger. I do some affiliate promotions on both. Generally, my affiliate income comes from three different sources. Let’s break them down for you. Over on Digital Photography School, we do two really big promotions every year. The biggest one is our 12 Days of Christmas Sale. We also do a mid-year sale, we call it our Summer Sale even though it’s winter here because most of our audience is in America. Our mid-year sale is the second biggest one. In each case, we for a week in our mid-year, and for 12 days Christmas sale, we release a new deal everyday. The deals are half our own products. We might reduce an ebook by 60%. Say for 24 hours, you can get now your book at 60% off. Or, it’s an affiliate deal where we negotiate with someone else who’s got a product. It might be a course, in might be an ebook, it might be a membership site, it might be some software that’s relevant for photographers. Again, we say for 24 hours you can get this deal. That’s where that affiliate income is coming from. These two promotions are our biggest earners of the year on Digital Photography School. They’ve done amazingly well over the last couple of years. Our ebook and courses, our products do pretty well but our affiliates, some of our affiliate deals do very well as well because they’re new to our audience. Many of our audience have already seen our ebook and might have them already but some of these affiliate things are really new. I think last year, the year before, we had one that just went massively huge. It was a presets package. The year before that, it was a course that we promoted. I can earn a lot of money very quickly in 24 hours. That’s the main source of a lot of that affiliate income. The second one is on ProBlogger, we do a little bit of affiliate marketing as well. We don’t do the deals like on Digital Photography School that has something we’ve talked about doing. We do have some partners like SumoMe who I’ve mentioned on this podcast. When I mention them on the show notes, there’s a link, an affiliate link to their product. LeadPages is another one. We also mention those on our resources page on ProBlogger as well. That resources page we linked to very prominently around the site so it gets quite a bit of traffic. We also have affiliate promotions on ProBlogger with Bluehost, a serve option which we mentioned in How to Start a Blog Page as well. There’s lots of mentions of the partners that we use, and recommend, and their affiliate links around ProBlogger. We don’t tend to do big campaigns like we do on Digital Photography School. There have been a few times where I’ve recommended training programs on ProBlogger as well. But in this six month period, there wasn’t any that were included in that. The other type that we occasionally will link to is WordPress themes on How To Start a Blog Post. As well, there’s links to StudioPress, I think there. That would be the second category that makes up this 46%. The third one is Amazon. I linked to Amazon a lot on Digital Photography School. Anytime I mention a camera, a lens, a photographic accessory, a photography book, anything that is mentioned on Digital Photography School that can be bought on Amazon, we link to it with an affiliate link. Amazon makes up about 9% of that 46%, just to give you an idea. The other 81% is ebooks, courses, software and online services that we recommend. Affiliate marketing is big. It does go up and down a little bit from month to month. Usually, it’s in our number one or two category for profit. It’s great. The other good thing about affiliate, I mentioned this a few times on the podcast is that, when you’re promoting ebooks, and courses, and software, and services with affiliate marketing, it gives a you a real insight into what your readers like, which might give you some insight into the type of products that you might like to create. The number two category that I’m going to talk about in a second is product sales. Most of the products that I’ve created to sell on my blogs, I’ve tested whether they will go over well with my audience by promoting a similar product that someone else has made as an affiliate. Affiliate marketing is great for that. It brings in an income, you don’t have too many expenses apart from actually writing some content to promote it. Number three, you can test a lot of ideas. You learn a lot about marketing as well. When you promote an affiliate product, you’re pushing people often to a sales page that someone else has created. By looking at those sales pages and seeing how they convert, it will help you a lot when you come to create your own sales pages as well. The other thing I actually would say about affiliate marketing is when you’re promoting someone else’s ebook, then later you create an ebook, sometimes the people you’ve promoted will then promote yours. You kind of end up with this win-win partnerships as well. Some of the people that we’ve promoted in the past have then created products for us as well. It’s all kinds of opportunities that come from doing affiliate marketing. Number two, income stream. I’ve already mentioned it a few times is product sales. You’ll see if you’re looking at the graphic that 69% of our product sales come from ebooks. For this period, 28% come from Lightroom Presets. Lightroom Presets are like a little plug in that you put into Adobe Lightroom to help you create different effects in your images. 2% came from courses, 1% from printable. Up until 2009, pretty much most of my income came from either affiliate marketing or working with advertisers or ad network. Mainly sponsorship and affiliate marketing. But in 2009, I decided to invest a little bit of time into creating my first product. They’re both ebooks. The first ebook on Digital Photography School was a Portrait Photography ebook which was largely a compilation of posts that I’ve already published on the blog with a little bit of new information. On ProBlogger, the first ebook was 31 Days to Build a Better Blog. Both of those ebooks did really well with my audiences. I saw enough profit from both of those ebooks to know that it was something that I want to do more often. Since 2009, we’ve released at least two or three ebooks every year since. I think we’ve done 35 or so ebooks now. Since 2009, ebooks have been one of our biggest income streams. Again, you’ll see that for the first half of this year, 69% of our product sales came from ebooks. 69% of the 31%, that is. Ebooks still are really great for us. Since 2009, we’ve started to experiment with other types of products as well. You’ll see in the list there’s printables, these are things where you just might create a few sheets where people can print them out at home. We had some posing printables. Our audience on Digital Photography School very often liked posing suggestions when they’re photographing people. We created a posing guide that they can print out and take with them. We also have had some courses. The reason that courses in this period were only 2% of that product breakdown is because we didn’t really promote them over the first half of this year. I will say courses have been quite profitable for us as well. To this point, we’ve only got three of them. We didn’t promote them in the first half of this year, but literally over the last month, finishing tomorrow actually, we’ve been launching a new course. If I was to do this breakdown for the second half of the year, I would suggest that courses would be a lot higher. Launching a course for us can be as profitable, if not more profitable, that launching an ebook. Usually they are higher price point. The other thing that you’ll see in that list is Lightroom Presets. We have, in this case, in the first half of this year, we launched one, out first ever Lightroom Preset bundle. Since then, we’ve launched another one. Again, they’ve been very profitable for us. Again, that’d be similar sort of revenue to a course or an ebook depending on the particular ebook I’m talking about there. Presets have been particularly popular for us. Courses have done well. Ebooks have done well. ProBlogger also had some ebooks, although we haven’t really release one for a while. That’s on my agenda for the month after the ProBlogger event is to start to create some courses and ebooks for ProBlogger as well. We’re looking at building some products. Watch this space on that front. Hopefully, there’ll be some income profit in next income report that I do. The third category, this one surprises a lot of people when I mention it. A lot of people don’t see that we do this one. We don’t do this one on ProBlogger so they don’t realize we do it. Our third income stream, third highest income stream is AdSense. Google’s AdSense program. Now I know some of you are literally dropping your iPhones right now. I can’t believe we’re doing it. It was the first income stream that I ever did back in 2004 or it’s maybe 2003 when I first started to experiment with it. It’s never gone away. It’s always work for us. I know AdSense doesn’t work with everyone and every type of blog. I know a lot of bloggers have never had much luck with it. Because Digital Photography School has large traffic, we get four to five million visitors a month, a lot more page views, that helps with banner ads. AdSense seems to like our site as well. We have had in the years gone by, AdSense has done just extraordinarily well to the point where people from AdSense can’t believe how much it makes. We’ve been used as a case study in different settings. I will say that our income from AdSense has decrease over the last couple of years. That has been for a couple of reasons. Firstly, we’ve been attracting a bit more direct sponsorship which I’ll talk about in a moment. Also, I’ve found just AdSense’s earnings have just been on a slow decline over the last few years. Our revenue per a thousand view RPM has just been declining a little bit. We’ve been working to try and pump it up a little bit more, we’ve had a little bit of success over the last month or so with getting a little bit higher but it’s something that has just slowly been sliding. I do find most people who use AdSense or other ad networks, there are quite a few around, have been finding that this income stream is kind of dying away a little bit. We’re now seeing a lot of the ad networks developing really quickly a lot of different products because they can see that this revenue is slipping. It’ll be interesting to see what they come up with next. AdSense makes up about 8% of our total income. That sounds small but it’s fairly significant. It’s certainly a nice direct deposit to get in my bank account every month. It doesn’t go up and down a lot. It just really depends on traffic. As I said, slowly declining as well. That’s income stream number three. The other good thing about AdSense is you’re not splitting that revenue with anyone. AdSense already takes their cut so you don’t have too many direct expenses from it as well. Number four income stream or profit stream for us is sponsorships. This is where we are working directly with a brand. This is something I started to do in the early days. I think it was back in 2004, 2005. I remember on my photography site back then, ringing up a camera store for the first time and saying, “Hey, would you like to reach people looking to buy cameras? Because I’ve got a photography blog.” Then I had to explain what a blog was. Eventually, I managed to convince a camera store to pay me $20 a month to advertise on my blog. It wasn’t much but it was recurring income because they signed up. Over time, as my traffic increased, I was able to increase that to $30 a month, $40 a month, $50 a month, $100 a month. I guess it’s kind of continued to grow since then. On Digital Photography School particularly, we offer sponsorship options to advertisers. We usually put the ads in the place of AdSense. We won’t sell any advertising, any banner ads, unless we can earn more from them than we can from AdSense. We know how much an ad will earn us in an ad slot with AdSense so we try to at least double that from a direct sponsorship engagement with a campaign. We’ve had companies like Canon, I think we had Tamron, we’ve had other photography education sites and centers like the New York Institute of Photography. We’ve had a variety of advertisers on Digital Photography School in the first half of this year. It’s not a massive amount for us, but 6%, again, it’s better than nothing. The other thing we do offer people who want to come on as a sponsors is not just banner ads. We offer them a placement in our newsletter. We have a newsletter that goes out to about 700,000 readers every month. We’re able to put that ad in front of that audience both as a banner ad in the newsletter but also a text ad in the newsletter. We also offer them the opportunity to do a competition on the site or even some social media advertising which we always disclose as well. On ProBlogger, we’ve not really done any banner advertising or any AdSense for many years now. We have done a few sort of partnership sponsorships campaigns. You will have heard on this particular podcast that we’ve featured 99 designs in the past. Edgar, Meet Edgar, the social media tool, they’ve been advertisers on the podcast as well. We’ve done a few sponsorships at our event. Our event’s profit largely comes from the sponsors. I haven’t included that profit in this category, I’ve included it later on in this income report in the event category. Sponsorship makes up about 6%. Not massive, but again all of these small income streams come together to add up. That’s one of the points that I want to get across to you today is the diversification of your income streams that actually can add up. The next category, I think we’re up to number five now. The fifth category is our job board on ProBlogger. Many of you will know that on ProBlooger, we have a job board. I’ve started it in 2006. It was a place where people looking to hire bloggers could advertise. You can find it at jobs.problogger.net. I don’t really say that link too much but it is linked to from all of the ProBlogger sites. We tweet out every job that gets advertised there. People pay us $50, US that is, for their ad to go up. It lasts for 30 days. When I first started it back in 2006, I remember the first week or two that I had the job board. We did have quite a few ads because I gave a lot of them away to friends to try to get a few ads on there. It kind of was a trickle. There might have been an ad every three to four days, maybe, if I was lucky. There would be weeks where we might only have one ad. Gradually over time, it’s grown. We are getting close, the last time I checked we’re getting close to our 6,000th ad placed on the job board. This is where you can probably do some sums. $50 times 6,000 ads. There were a few freebees in the early days but not really many at all. Considering the initial investment on the job board, which was minimal, I had someone code it. It wasn’t very well coded in the early days but it was there. It’s been a largely passive income stream. I’m very, very pleased that I started that job board back in 2006. As you can see, by doing those sorts of calculations, I probably spent several thousand dollars getting the thing up and running. It doesn’t really take that much work to keep it going. I do have occasional things that I need to interact with advertisers on. Occasionally, we need to delete an ad if it’s not appropriate and doesn’t meet our standards. But largely, it’s a fairly passive income stream. We’re actually at the moment investing some time and money into creating version two of it. It does need some updating. We want to give it some more features to advertisers but also applicants. Watch this space as well because we’ve got some new things coming on that particular job board. If you do want to advertise, $50 for 30 days, we do find a lot of advertisers email us a few days later and say, “Can you please take down our ad because we’re getting too many applicants.” We find a lot of people find really good applicants there. That was profit stream number five. Let’s talk number six which is our event, which is very topical, because as this podcast goes live, I’ll be packing my bags, the next day getting on a plane to go to our ProBlogger event, our 7th annual ProBlogger event here in Australia. Tickets are still on sale if you want to join us at probloggerevents.com. The virtual ticket really is where most of you would be able to get some value out of that. Our event is a massive focus for the ProBlogger team that I’ve got. It’s largely a labor of love. When I did start the event, seven events ago now, I did it mainly because I wanted to get Aussie bloggers together. I wanted to see what would happen when that happened. I saw a lot of value happening in the US events that I was going to. I didn’t really have profit in mind, I just didn’t want it to cost me anything. I wanted to breakeven. For the first three or four years of that event, it was pretty much a breakeven target every year. The problem that I had was that when 300 or 400 bloggers come together, you start having a lot of expenses. It became a bit of a risky thing to put on. I remember getting a bill from a hotel that was over $100,000. Thinking in my mind, if this doesn’t work, if people don’t show up, or if something goes wrong, it’s going to hurt a lot to put on this event that doesn’t work. I realized I needed to start to build some profit into the event not because I need the extra cash but because I didn’t want to hold that risk for myself. We have been trying to make it more profitable thing over the last few years. We’re still also really trying to keep it as affordable as we can. We always get comments from our attendees saying, “This is just so cheap.” We actually charge our attendees less than it costs us to put the event on. If we could break it down per attendee, we charge them about 80% of what it cost. We make out the risk, we make out the profit from working with sponsors. That’s where this profit comes from from the event. That goes up and down a little from year to year as different sponsors come and go. We’ve had some amazing sponsors over the last few years. Olympus is an ongoing sponsor for us, Olympus Australia, the camera maker. We’ve had a variety of different sponsors over the years. This year, we’ve got the virtual ticket back. That does help us to be a little bit more profitable. If you do want to give something back to ProBlogger and help us out to cover our cost, you can get that virtual ticket as well. The last category is other. There’s always another category in these types of of things. This is a very small amount. I think it was like 1%, yup, 1% of the income. It largely is speaking fees. Occasionally, I do speaking where I’ll get paid a fee. It’s book royalties from the ProBlogger book which was published years ago. I still occasionally get a little check, tiny little check. It was never a big one I have to say, if you want to make money, don’t write a book. It was better for branding and that type of thing. I still occasionally do get a little royalty there. I get out a check every quarter, or every six months from a copyright organization here in Australia. When a school here in Australia uses material on Digital Photography School, if you do, we get paid for that. That’s just something that happens here, I think, I guess through the Australian government. That’s a nice little bonus check. It’s never more than a thousand dollars or so at a go. There is other and occasionally I just get some other random things that come in as well. Those are the income streams. Every time I do an income report, I get asked about expenses. That is the flip side. I’ve tried to take those into account in just talking here about profit. Some of the things I do spend money on, it might be useful in sort of touching on that as well. It’s hard to nail some of them down specifically to the income stream because a lot of the expenses that I have, the biggest expenses that I have on my team. Some of my team work on different projects, some of them are just focused on the event for example. Some of them are just focused on the production of the ebook for example. But then, some of them work across different income streams as well. Let me just run through my team. We have an editor for each of my sites, they’re both part time. We have two business unit managers, one for Digital Photography School and one for ProBlogger. I have some administrative and customer service team members. I have a marketing person for Digital Photography School. All of my team are part time except for one. On top of that, there’s a huge array of other contractors. We hire people to proofread our ebooks, I hire people to edit this podcast, I hire people to write content on Digital Photography School, they get paid per article. We work with partners to create the ebooks, we work on a revenue share basis there as well. I guess on top of the people, the things like service, which are not cheap, the amazing array of software services and subscriptions that most bloggers have as well. For lending pages, email providers, and that type of thing as well. Most of which you can see over on the recommended blogging rasources page that I have as well. I guess my philosophy with the expenses is that you really do have to spend money to make money. I do that on people and tools as well. I guess there’s my time as well which is hard to put a value on as well but that’s certainly an expense. I work hard at what I do. There are my income streams. I know for a fact that what I’ve just shared then will resonate was some of you. Some of you will have very similar income streams. You might make most of your money from affiliate and product sales as well. I know on the flip side that many of our event attendees, their main source of income is working with brands and doing sponsored posts. I know others who have membership sites and that’s their number one form of income. There is a lot more ways that you can make money and I’ll link in today’s show notes to some further reading on all of the income streams that I’ve mentioned on how to build those. Also, some other recommended reading on other income streams that you might be interested in as well. I would love to hear back from you on how you make money from your blog if you are a full time blogger, or a part time blogger. You can leave a comment on problogger.com/podcast/150. Just one last call. Our event does happen the day after this podcast goes live or a couple of days after it goes live. If you’d like to be a part of that event virtually, you can get a virtual ticket. If you head over to problogger.net/virtualticket, you’ll be able to pick up a virtual ticket to that event and get all 50 sessions from this year’s event, including my opening keynote, including a keynote from Natalie Sisson from Suitcase Entrepreneur, from Bryan Fanzo talking about live streaming. We’ve got sessions on Instagram, YouTube, Podcasting, and many sessions on content creation, how to drive traffic to blogs. We got sessions on SEO. The list goes on and on. As a bonus, you also get 23 sessions from last year as well. All the audio files and slides from this year and last year. I look forward to chatting with you next week. Remember, we’re on a weekly schedule at the moment until the event’s finished where I will chat with you in another of our podcast. Thanks for listening today. I’ll chat with you then. 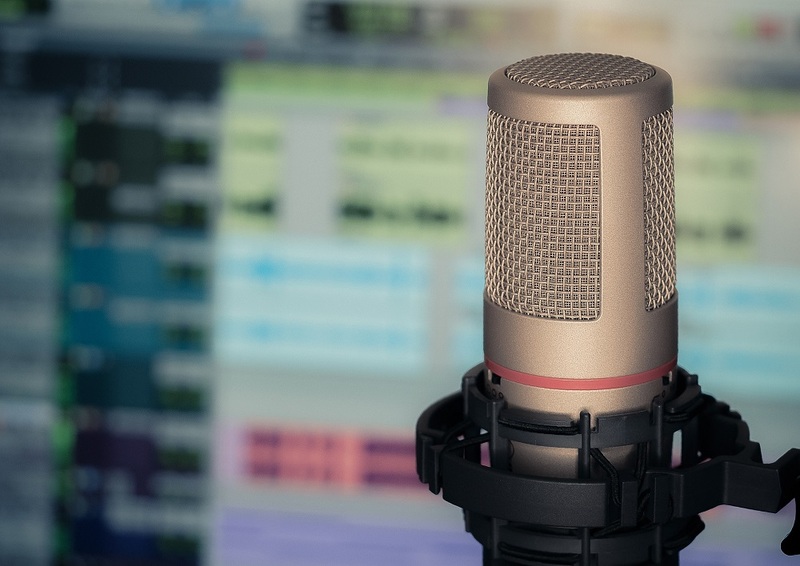 This episode of the ProBlogger podcast was edited by the team at Podcast Motor who offer a great range of services including helping you to set up and launch your podcast as well as ongoing editing and production of the podcast that you produce. You can check them out at podcastmotor.com.